during the expo allowing professionals within the industry a chance to see them in person. Municipal water and sewer system maintenance managers along with private contractors within the septic, sewer and drain industry will head to Indianapolis for the 2013 Pumper & Cleaner Environmental Expo International, Feb. 25-28, at the Indianapolis Convention Center. The expo will showcase the latest products and technologies in the environmental service industry. 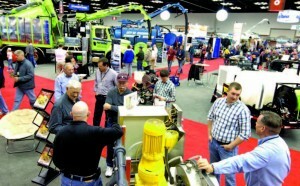 The Pumper & Cleaner Expo is ranked among the top 250 trade shows in the United States, attracting an average of 12,000 environmental service professionals from 46 countries. More than 500 exhibits will be present at the Pumper & Cleaner Expo, spanning more than 500,000 square-feet of the convention center. 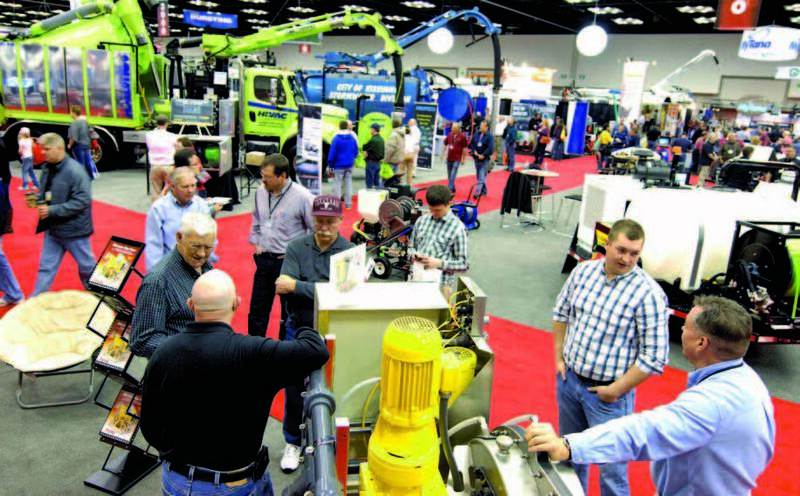 Everything from septic system components and trailers to portable sanitation units and industrial sewer equipment will be featured in the exhibit hall; a full list of exhibitors is available online at the Pumper & Cleaner Expo’s website. The exhibit hall will be open from 9 a.m. to 5 p.m. EST Feb. 26-27, and 9 a.m. to 2 p.m. EST Feb. 28. The exhibit hall will be closed Monday, Feb. 25, for Education Day. While it is closed, expo attendees will have the option to attend several educational sessions throughout the day. Session topics will vary from pressure distribution and easements to ultraviolet manhole rehabilitation and promotion through the use of social media and the Internet, all given by national associations. Educational sessions will also occur Feb. 26-27. Sessions will include improving safety with wireless technology, trenchless point repairs, a confined space entry permit and equipment review, among many other topics. There will also be three sessions in Spanish Tuesday, covering topics such as floods in Mexico City, best practices for working in confined spaces and overcoming the difficulties of doing business in South America. A full listing of sessions is available online with attendees able to plan their expo by using a special feature called MyShow Planner, which is located on the website. Several education sessions count as educational credits toward attendees’ required continuing education. California, Iowa, Nebraska, Oregon, Pennsylvania, Wisconsin and Wisconsin DNR will count sessions attended at the Pumper & Cleaner Expo toward attendees’ requirements with other states potentially accepting the sessions in the future. While there are no seating limits for education sessions, most rooms will be set for approximately 300 people with rooms hosting more focused sessions having about half that number. Seating is first come, first serve; some sessions are standing room only. Attendees can register to participate in a roundtable discussion and buffet breakfast from 8 a.m. to 10 a.m. Feb. 28. The roundtable talks will consist of small-group discussions based on important industry issues as submitted by expo attendees. This session will help attendees get ideas for their most pressing issues from peers; it also provides a chance for attendees to build a professional network. The tentative list of topics includes: “Don’t Win the Price Game,” “Pumping Honesty, Pricing and Safety,” “CSOG—Community System Owner’s Guide,” “Doing Business in South America,” “Internet Marketing” and “Portable Sanitation.” Other topics will be added from attendee submissions. A breakfast buffet is available for a fee. Attendees are also invited to take part in the Tuesday night industry appreciation party. The party starts at 5 p.m. at the JW Marriott Hotel, 10 South West St., Indianapolis, and is free with paid registration. Country music star Craig Morgan will headline the event. Pre-registration rates end Jan. 19. The registration fee allows admission to exhibits on all three days and attendance at any or all seminars and events. For information, visit www.pumpershow.com or call toll free (866) 933-2653.